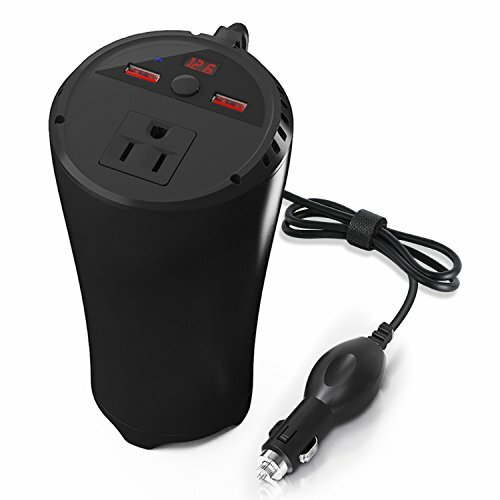 This power inverter converts DC 12V to AC 110V and features of 2 USB ports and 1 AC outlet for multi-purpose charging. PERFECT DESIGN:coffee cup power inverter fits perfectly for most vehicles' cup holders, preventing it from rolling and help you concentrate on driving. If you have any questions about this product by EasyFocus, contact us by completing and submitting the form below. If you are looking for a specif part number, please include it with your message.